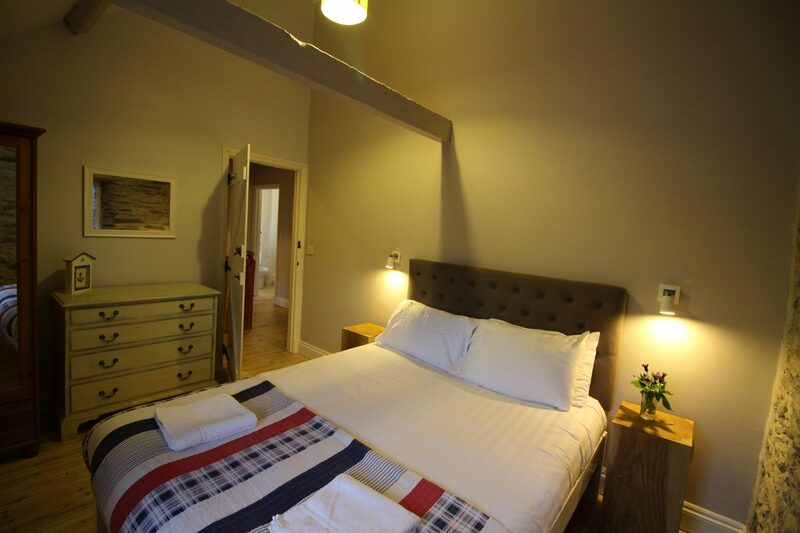 From one of the farm’s original hay loft barns, providing self-catering accommodation that has a modern feel while maintaining its rustic charm. 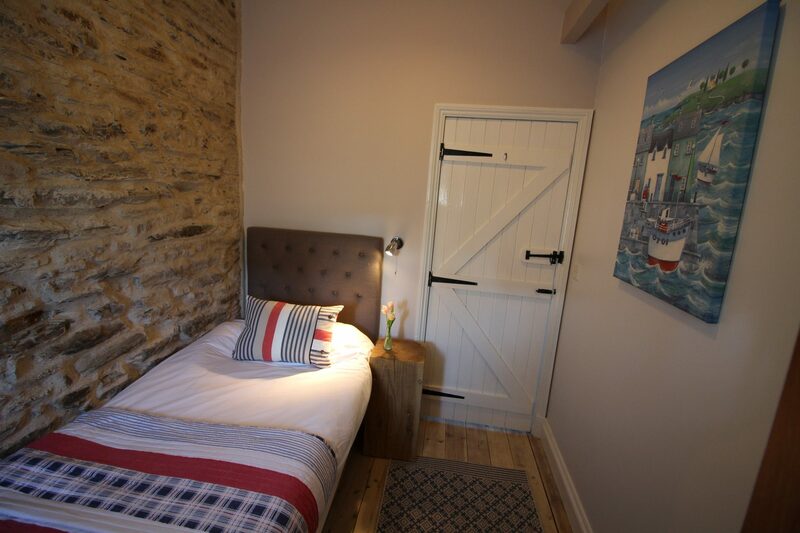 Newly refurbished, the Granary now has oak flooring downstairs with underfloor heating, wood burning stove, private garden area as well as a private hot tub for use during your stay. 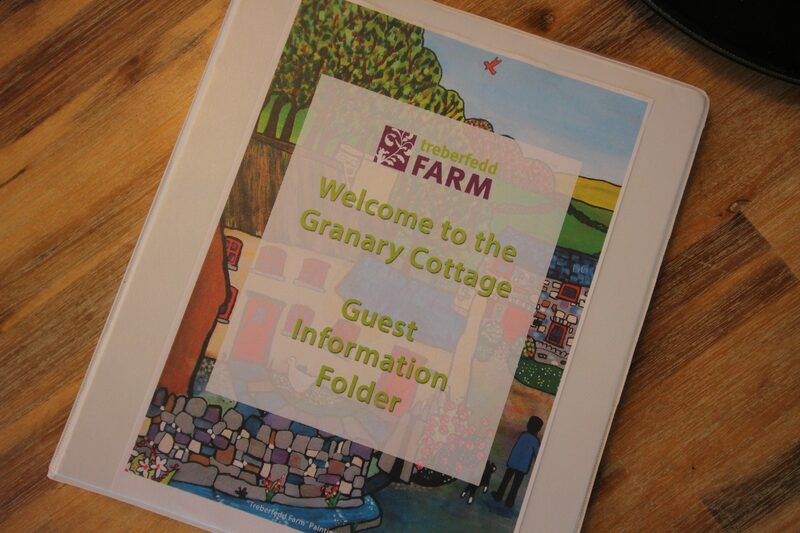 The Granary is now an even greater place to come and visit. 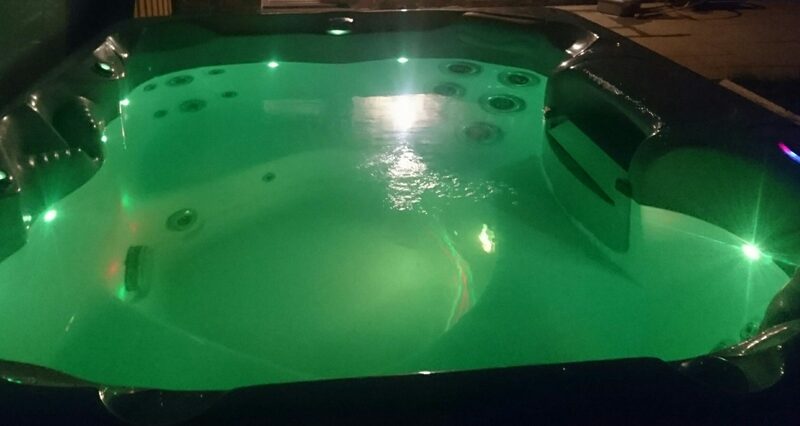 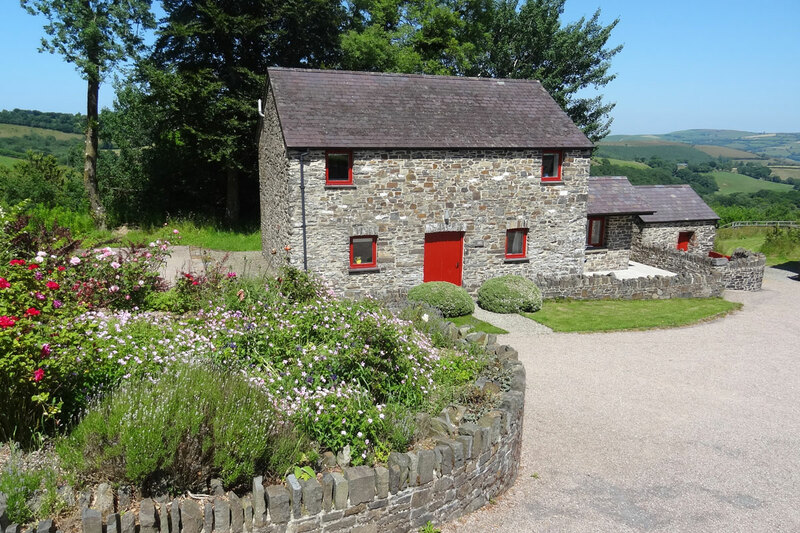 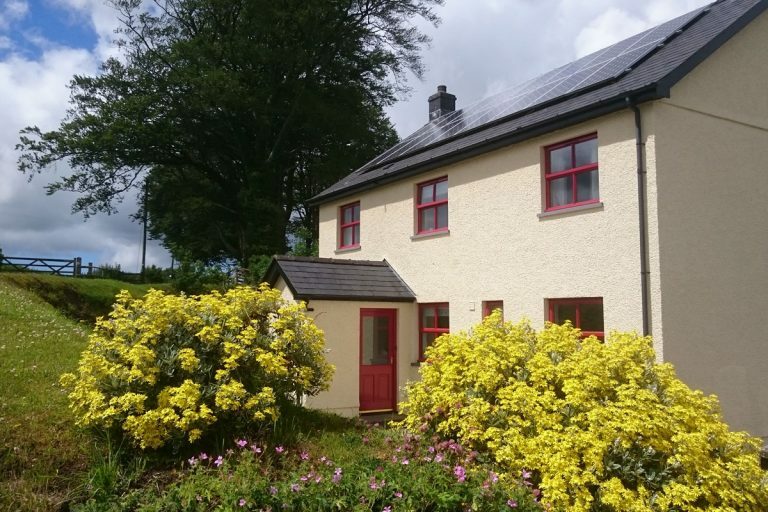 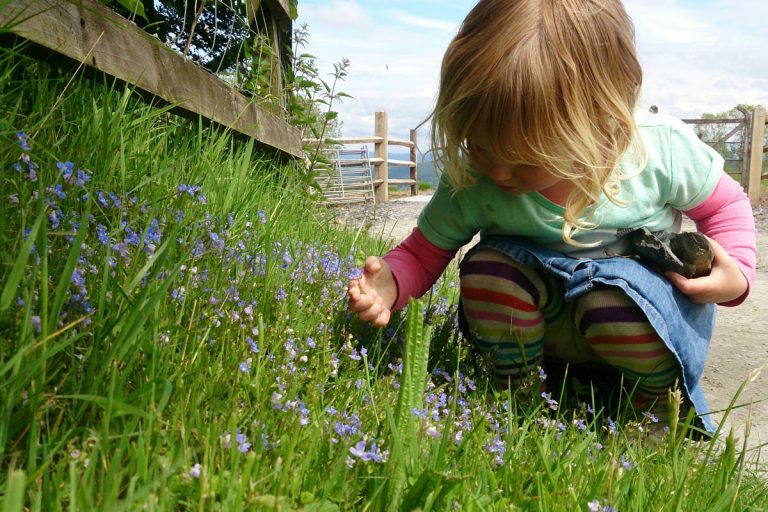 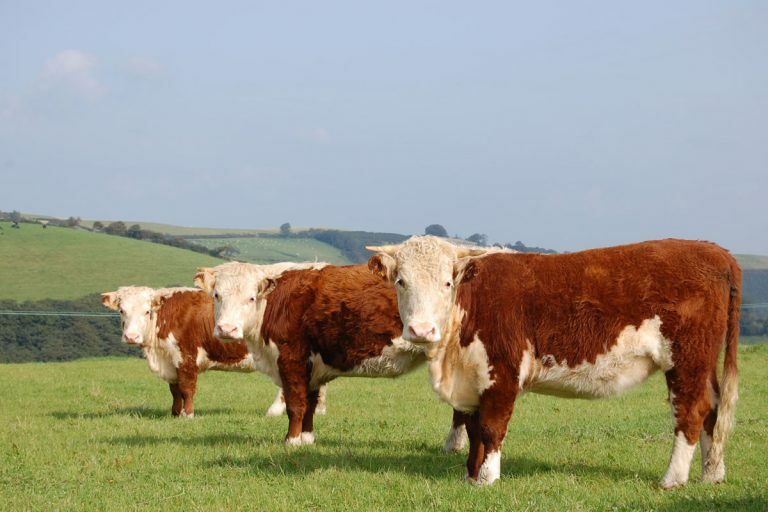 It is a perfect farm holiday cottage for family short breaks or holidays in west wales. 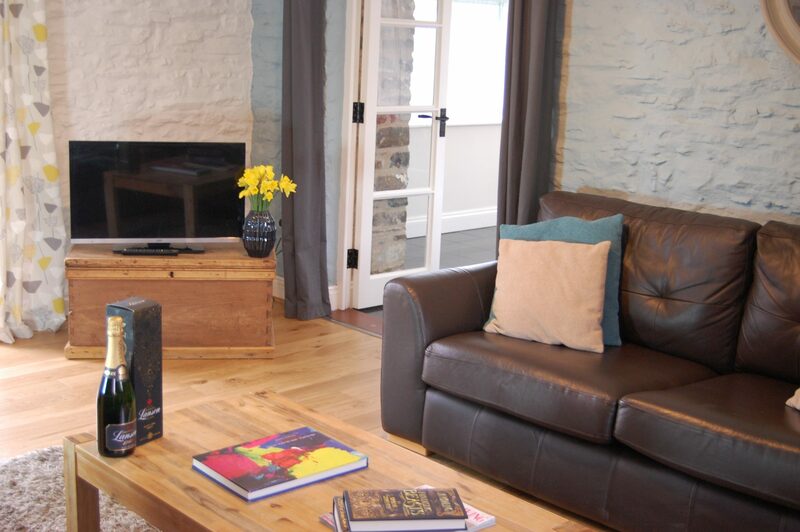 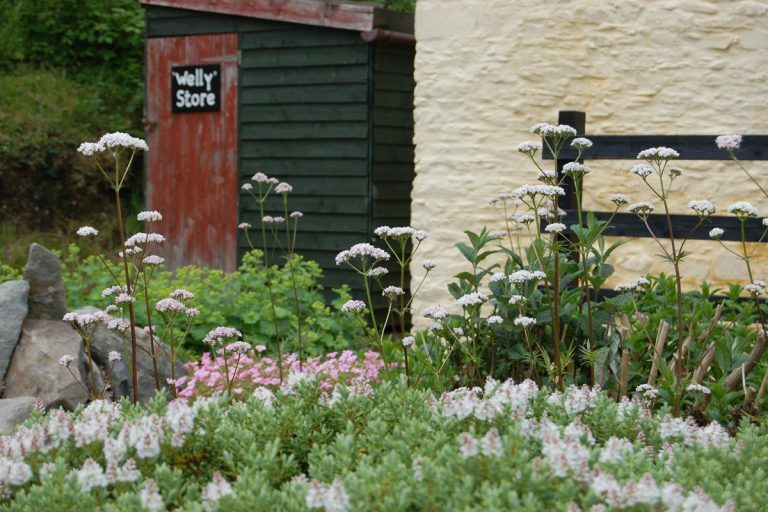 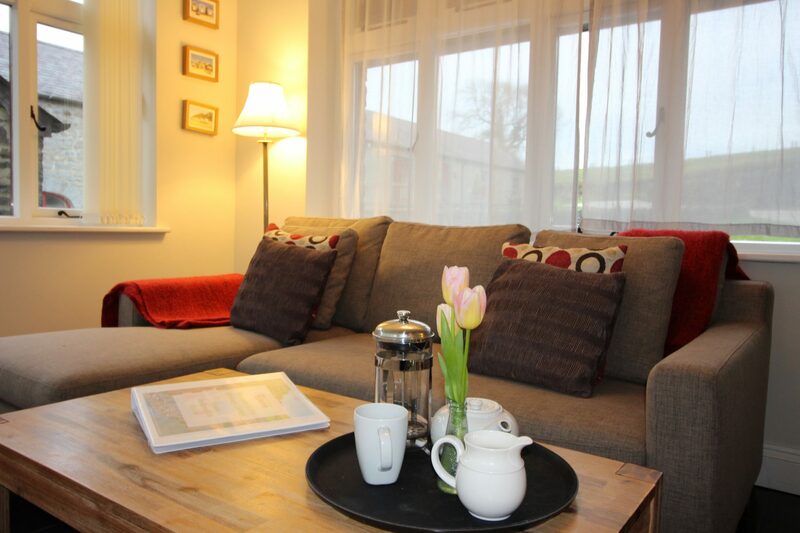 Make the Granary cottage your base for exploring the cardigan bay coast. 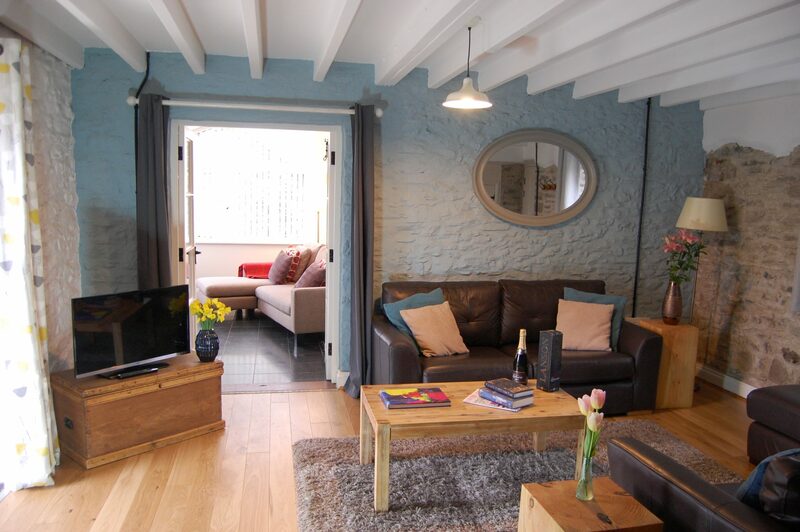 Dolphin watching boat trips from New Quay are a favourite activity in summer. 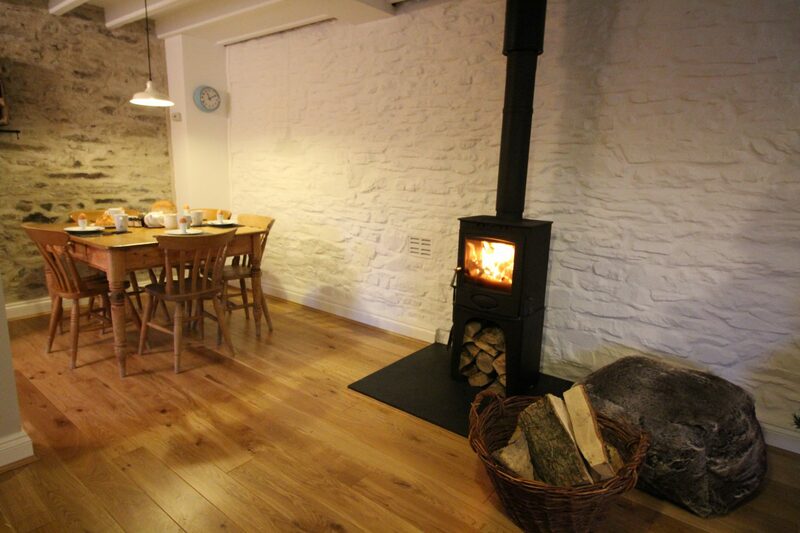 Pine floorboards give the Granary a light, fresh feel. 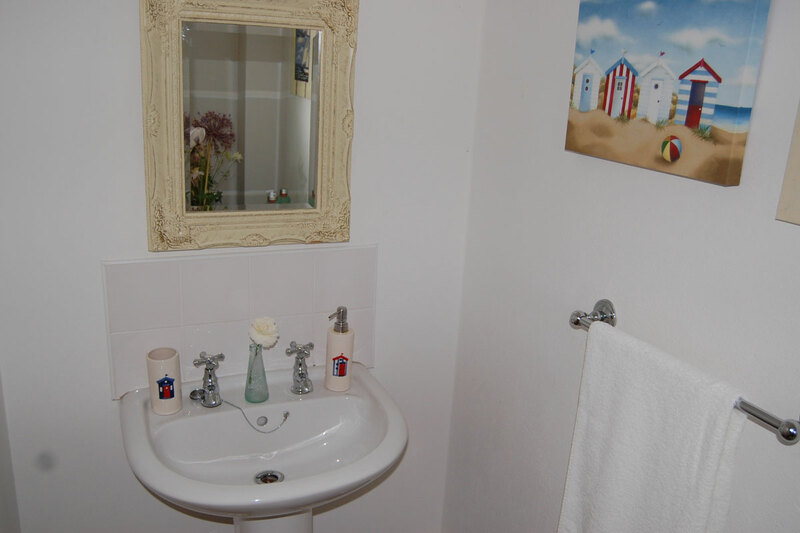 Underfloor heating keep the ground floor nice and warm in the winter. 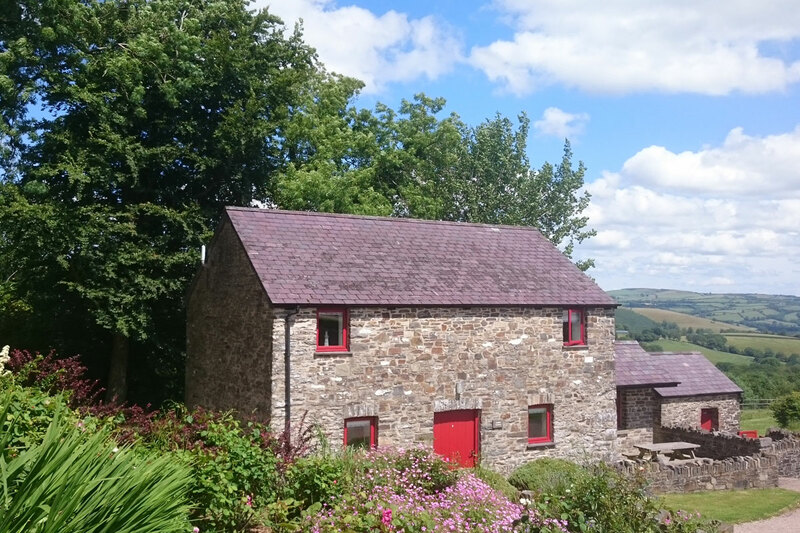 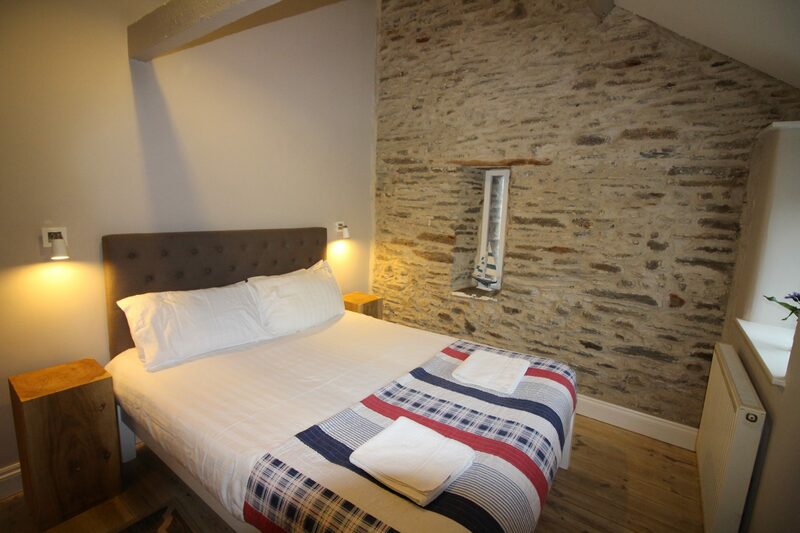 The Granary barn retains original 19th century window nooks and high ceilings with exposed wooden beams adding plenty of character to this west Wales self-catering holiday cottage. 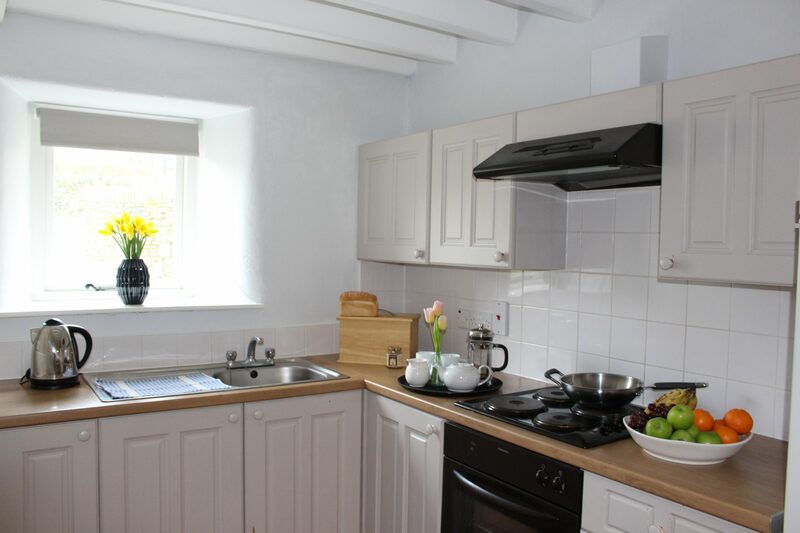 The stone interior has been white washed in the original Welsh style using natural clay eco paints. 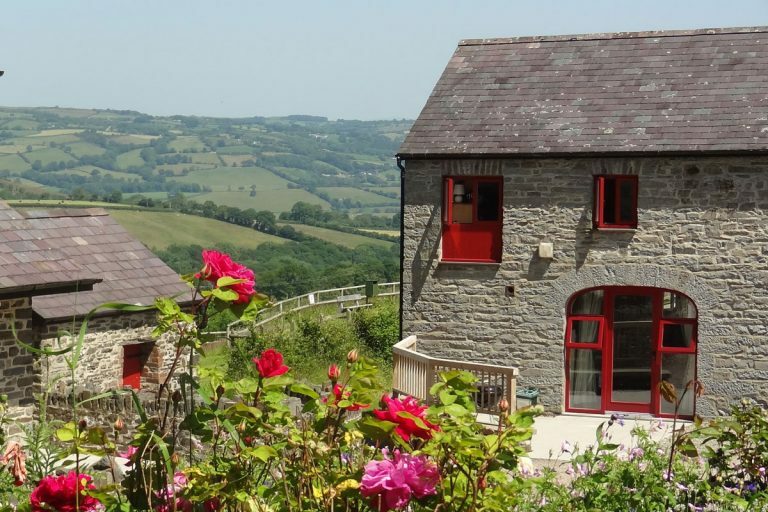 Downstairs a large open plan living area and sun room offer spectacular views over the Aeron Valley and the hills beyond. 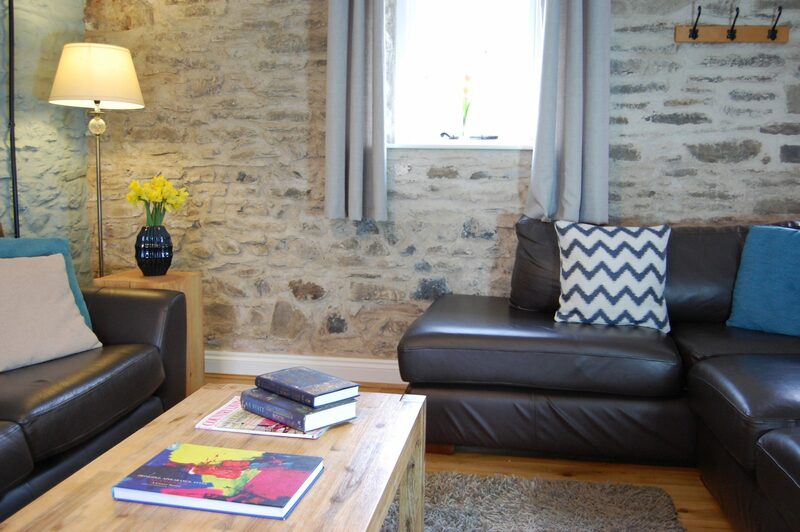 Leather sofas, and under floor central heating make a really comfortable living area, along with the open plan fitted kitchen and dining area. 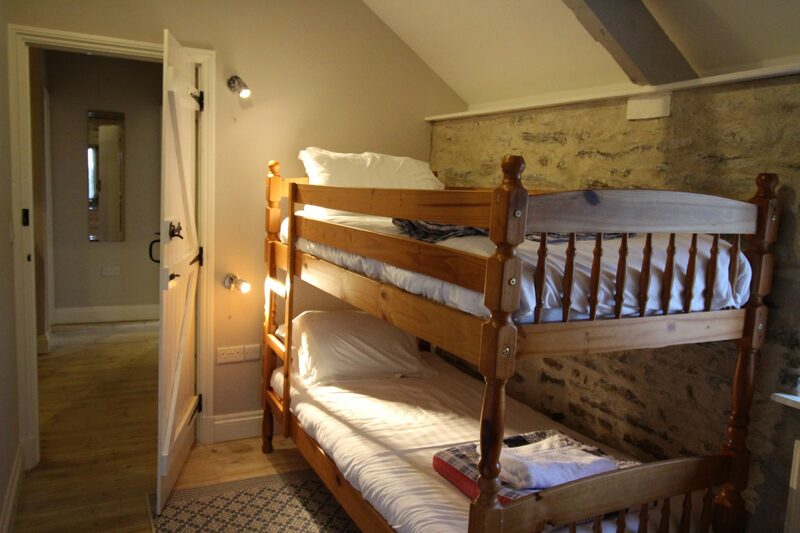 Upstairs there is a double bedroom, 1 single room and 1 bunk bed room. 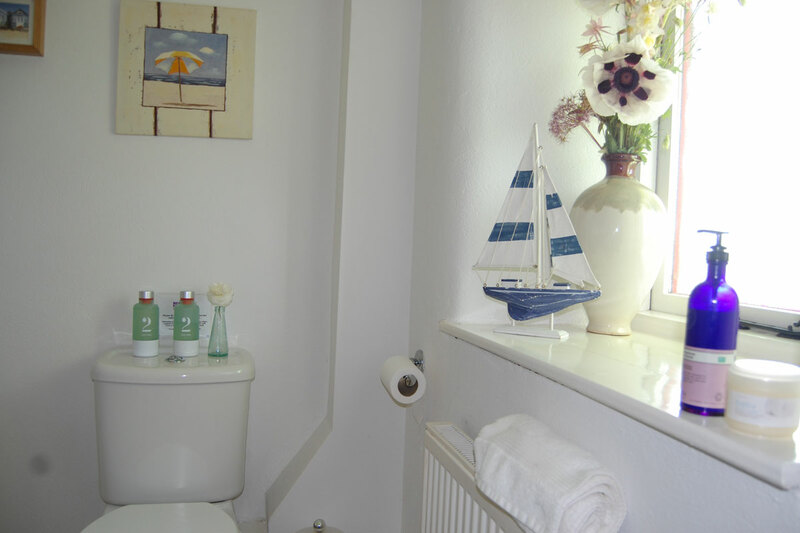 Also upstairs is the shower room with WC, washbasin and shower cubicle. 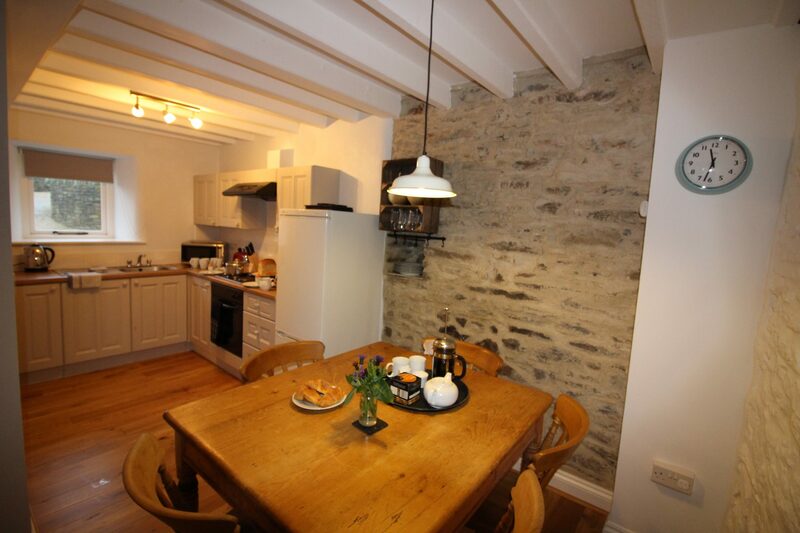 Sleeps up to 8 people – The Thatched Cottage is a unique Grade II listed Georgian cottage. 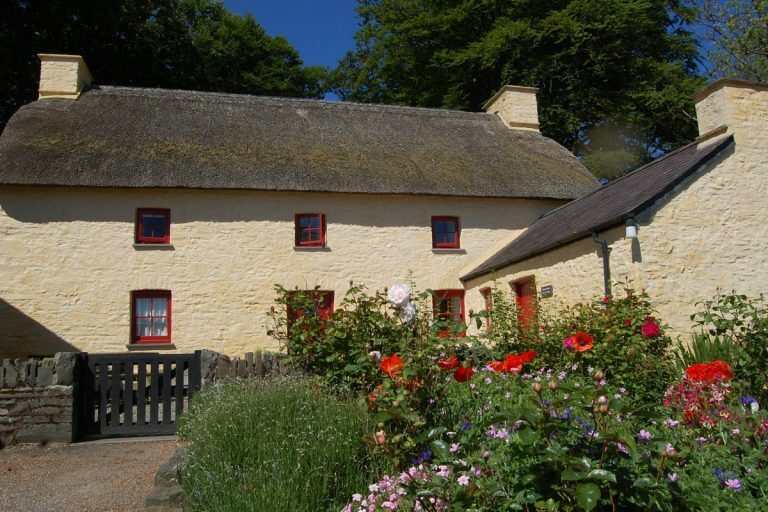 Originally built in the mid-1600s, this cottage is a rare example of a thatched Welsh farmhouse.